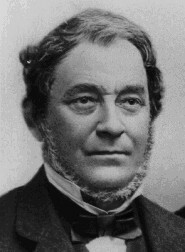 Bunsen was born on March 31, 1811 in Göttingen, Germany, the youngest of four sons. As his father was a professor of modern languages at the university, an academic environment would surround him from birth. After schooling in the city of Holzminden, Bunsen studied chemistry at Göttingen. Receiving his doctorate at age 19, Bunsen set off on extensive travels, partially underwritten by the government, that took him through Germany and Paris and eventually to Vienna from 1830 to 1833. During this time, Bunsen visited Henschel's machinery manufacturing plant and saw the "new small steam engine." In Berlin, he saw the mineralogical collections of Weiss and had contact with Runge, the discoverer of aniline. Continuing on his journeys, Bunsen met with Liebig in Giessen and with Mitscherlich in Bonn for a geological trip through the Eifel mountains. The essential piece of laboratory equipment that has immortalized the name of Robert Wilhelm Bunsen was not invented by him. Bunsen improved the burner's to aid his endeavors in spectroscopy. Ironically, Bunsen will be remembered by generations of chemistry students for a mere improvement in a burner , when his other contributions to the field of chemistry are vastly more significant and diverse, covering such areas as organic chemistry, arsenic compounds, gas measurements and analysis, the galvanic battery, elemental spectroscopy and geology. In Paris and Vienna, Bunsen visited the Sevres porcelain works and met with the outstanding chemists of the times. These travels allowed Bunsen the opportunity to establish a network of contacts that would stay with him throughout his illustrious career. Upon his return to Germany, Bunsen became a lecturer at Göttingen and began his experimental studies of the insolubility of metal salts of arsenious acid. His discovery of the use of iron oxide hydrate as a precipitating agent is still the best known antidote against arsenic poisoning to this day. This was his only venture in organic/physiological chemistry. In 1836, Bunsen was nominated to succeed Wöhler at Kassel. He taught there for two years before accepting a position at the University of Marsburg which was the site of his important and dangerous studies of cacodyl derivatives. This research was his only work in pure organic chemistry and made him immediately famous within the scientific community. Cacodyl (from the Greek kakodhs - "stinking") was also known as alkarsine or "Cadet's liquid," a product made from arsenic distilled with potassium acetate. The chemical composition of this liquid was unknown, but it and its compounds were known to be poisonous, highly flammable and had an extremely nauseating odor even in minute quantities. Bunsen himself described one of these compounds: "the smell of this body produces instantaneous tingling of the hands and feet, and even giddiness and insensibility...It is remarkable that when one is exposed to the smell of these compounds the tongue becomes covered with a black coating, even when no further evil effects are noticeable." Bunsen's daring experiments showed that cacodyl was an oxide of arsenic that contained a methyl radical (a group of atoms acting as one species). These results significantly furthered the earlier work by Gay-Lussac, who had isolated the radical cyan in 1815, and that of Liebig and Wöhler who published "One the radical of benzoic acid" in 1832. Typical of his research life, however, Bunsen seemed content to explore subjects of interest in his lab, but remained outside the fray that surrounded the often "violent" discussions of theoretical subjects. Although Bunsen's work brought him quick and wide acclaim, he nearly killed himself from arsenic poisoning and it also cost him the sight of one eye - an explosion of the compound sent a sliver of glass into his eye. While at Marsburg, Bunsen studied blast furnaces and demonstrated that over half the heat was lost in the charcoal-burning German furnaces. In British furnaces, over 80% was lost. Bunsen and a collaborator, Lyon Playfair, suggested techniques that could recycle gases through the furnace and retrieve valuable escaping by-products such as ammonia. Other work during this period concentrated on technological experiments such as the generation of galvanic currents in batteries. In 1841, instead of the expensive platinum electrode used in Grove's battery, Bunsen made a carbon electrode. This led to large scale use of the "Bunsen battery" in the production of arc-light and in electroplating. "To confirm his theory, Bunsen made an artificial geyser, consisting of a basin of water having a long tube extending below it. He heated the tube at the bottom andat about the middlepoint. As the water at the middle reached its boiling point, all of the phenomena of geyser action were beautifully shown, including the preliminary thundering. That was in 1846. From that day to this Bunsen's theory of geyser action has been generally accepted by geologists." In 1852 Bunsen succeeded Leopold Gmelin at Heidelberg. His stature was such that he attracted students and chemists from all over the world to study in his laboratory. Again, Bunsen ignored the current trend in organic chemistry which was fast overtaking the experimental world. Instead, Bunsen improved his earlier work on batteries: using chromic acid instead of nitric acid, he was able to produce pure metals such as chromium, magnesium, aluminum, manganese, sodium, aluminum, barium, calcium and lithium by electrolysis. Bunsen devised a sensitive ice calorimeter that measured the volume rather than the mass of the ice melted. This allowed him to measure the metals' specific heat to find their true atomic weights. During this period, he also pressed magnesium into wire. The element came into general use as an outstanding illuminating agent. At present Kirchhoff and I are engaged in a common work which doesn't let us sleep...Kirchhoff has made a wonderful, entirely unexpected discovery in finding the cause of the dark lines in the solar spectrum....thus a means has been found to determine the composition of the sun and fixed stars with the same accuracy as we determine sulfuric acid, chlorine, etc., with our chemical reagents. Substances on the earth can be determined by this method just as easily as on the sun, so that, for example, I have been able to detect lithium in twenty grams of sea water." "The lines show up the more distinctly the higher the temperature and the lower the luminescence of the flame itself. The gas burner described by one of us has a flame of very high temperature and little luminescence and is, therefore, particularly suitable for experiments on the bright lines that are characteristic for these substances." The burner described was quickly dubbed the "Bunsen burner," although the apparatus is not of his design. The concept to premix the gas and air prior to combustion in order to yield the necessary high temperature, nonluminous flame belongs to Bunsen. Credit for the actual design and manufacture of the burner goes to Peter Desaga, a technician at the University of Heidelburg. Within five years of the development of the burner, Bunsen and Kirchhoff were deeply involved with spectroscopy, inventing yet another instrument: the Bunsen-Kirchhoff spectroscope. This vital instrument of chemical analysis can trace its ancestry to such simple components as a "prism, a cigar box, and two ends of otherwise unusable old telescopes." From such humble beginnings came the instrument which proved to be of tremendous importance in chemical analysis and the discovery of new elements. "Supported by unambiguous results of the spectral-analytical method, we believe we can state right now that there is a fourth metal in the alkali group besides potassium, sodium, and lithium, and it has a simple characteristic spectrum like lithium; a metal that shows only two lines in our apparatus: a faint blue one, almost coinciding with Srd, and another blue one a little further to the violet end of the spectrum and as strong and as clearly defined as the lithium line." In 1861, only a few months following their cesium discovery, Bunsen and Kirchhoff announced the discovery of yet another new alkali metal. Two hitherto undiscovered violet spectral lines in an alkali of the mineral lepidolite were attributed to a new element, rubidium. Bunsen and Kirchhoff's combined genius quickly paved the way for others to claim elemental discoveries. The spectroscope served as a springboard by which five new elements were discovered. These included thallium (Crookes, 1861), indium (Reich and Richter, 1863), gallium (Lecoq de Boisbaudran, 1875), scandium (Nilson, 1879) and germanium (Winkler, 1886). Fittingly, Bunsen's original vision of analyzing the composition of the stars was realized in 1868 when helium was discovered in the solar spectrum. "He never said: 'I have discovered,' or 'I found'...He was characterized by extraordinary, distinguished modesty. That does not mean that he was not conscious of his own value. He knew how to use it at the right time and in the right company; he even had a considerable degree of very sound egotism." The scientific world held Bunsen in high esteem for much of his long professional life. In 1842 he was elected to the Chemical Society of London and the Academie des Sciences in 1853. He was named a foreign fellow of the Royal Society of London in 1858, receiving its Copley Medal in 1860. Bunsen and Kirchhoff were recipients of the first Davy Medal in 1877. The Albert Medal was awarded in 1898 in recognition of Bunsen's many scientific contributions to industry. Of these honors, Bunsen once remarked,"Such things had value for me only because they pleased my mother; she is now dead."